The hip, "Napa chic" feel to this contemporary-styled venue draws me in every time I am in the area. 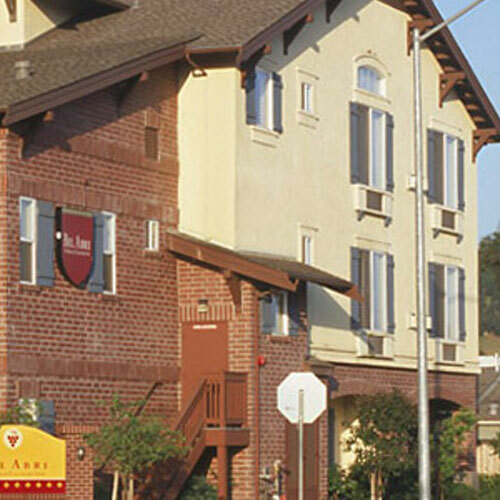 Centered in the Napa Valley, this renovated B&B offers spacious and attractively appointed guest units. Most have a gas fireplace; some feature a patio. A complimentary wine reception is held from 5 to 6 p.m. Office hours are 8 a.m. to 8 p.m. with on-call staff after hours. Upgrade to a suite that includes a two-person jetted tub. DVD players are included in each room and a nicely stocked library of movies is available in the public area. Smoke free premises. 15 units. 3 stories, interior corridors. Accessibility (Call). SR 29 exit 1st St, just se. 837 California Blvd 94559. 2 night minimum stay - seasonal and/or weekends, 7 day cancellation notice-fee imposed.